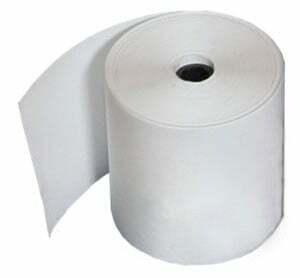 3.125" x Continuous Direct thermal 3.5mil Receipt Paper Roll. Compatible with Kiosk printers. 645' long. Single roll. Does not require a ribbon. 3" x 79.17' rolls, DT, topcoated journal paper - 36 rolls/case. 2" x 68.75' rolls, DT, topcoated journal paper - 36 rolls/case. 3" x 72.8' rolls, DT, topcoated journal paper - 36 rolls/case.